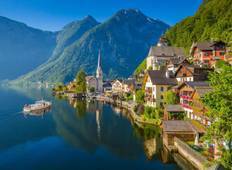 Find the right tour for you through Lake Wolfgangsee. 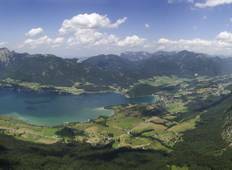 We've got 9 tours going to Lake Wolfgangsee, starting from just 7 days in length, and the longest tour is 10 days. The most popular month to go is May, which has the most number of tour departures. "Our Austrian Lake District tour was absolutely fantastic and was the best holiday..."
"The lakes area is beautiful and getting around on buses, boats and trains was easy..."
"We took the Salzkammergut self-guided walking tour in July of 2018. Everything went..."